It was aimed to characterize spatial variations of air pollutants in Marmara region, Turkey for determining contribution to air pollution status in this study. We used spatial data analysis for measured sulfur dioxide (SO2) and particulate matter (PM10) concentrations recorded in Marmara, which is the most industrialized region of Turkey. GIS technique was used for monitoring air pollution and spatial analyses of these pollutants measured with the period during between October 1, 2013 and March 31, 2014 known as winter (heating) season obtained from 61 air quality monitoring stations located in this region. Spatial distribution maps for these pollutants were generated to determine emission patterns for the study area with the aid of geostatistical techniques. Additionally standard and spatial regression models were employed on the measured emissions to reveal possible factors of air quality in the region using standard ordinary least squares (OLS) and spatially autoregressive (SAR) regression models. The two regression models revealed that all the four explanatory meteorological variables (i.e. temperature, wind speed, humidity and atmospheric pressure) used to depict the pollution levels in relation to air quality. After the definition of the final model parameters, the model was fit to the entire data set and the residuals were examined for the presence of spatial autocorrelation with Moran’s I. Compared to the OLS technique, SAR is found to be more appropriate when dependent variables exhibit spatial autocorrelation resulting in a valid model. Akyürek, Ö., Arslan, O. and Karademir, A. (2013). SO2 ve PM10 Hava Kirliliği Parametrelerinin CBS ile Konumsal Analizi: Kocaeli Örneği. TMMOB Coğrafi Bilgi Sistemleri Kongresi, November 11-13, 2013, Ankara, Turkey (in Turkish). Alcamo, J., Mayerhofer, P., Guardans, R., Harmelen, T., Minnen, J., Onigkeit, J., Posch, M. and Vries, B. (2002). An integrated assessment of regional air pollution and climate change in Europe: findings of the AIR-CLIM project. Environmental Science Policy, 4: 257-272. Azimi, V. Rocher, M. Muller, R. Moilleron, D.R. and Thévenot (2005). Sources, distribution and variability of hydrocarbons and metals in atmospheric deposition in an urban area (Paris, France) Sci. Total Environ.,337: 223-239. Begüm, B. A., Kim, E., Biswas, S. K. and Hoopke, P. K. (2004). Investigation of Sources of Atmospheric Aerosol at Urban and Semi Urban Areas in Bangladesh. Atmospheric Environment, 38(19): 3025-3038. Briggs, D., Beale, L., de Hoogh, C., Gulliver, J. and Mitchell, J. F. (2003). Beyond the buffers: advancing the use of GIS to model exposures to environmental pollution: Isee-478. Epidemiology, 14(5): 95. Brunekreef, B. and Holgate, S. T. (2002). Air pollution and health. Lancet, 360(9341), 1233-1242. Burak, S., Doğan, E., and Gazioğlu, C. (2004). Impact of urbanization and tourism on coastal environment. Ocean & Coastal Management 47 (9):, 515-527. Burak, S., Ünlü, S. and Gazioğlu, C. (2009). Environmental stress created by chemical pollution in the Marmara Sea (Turkey). Asian Journal of Chemistry, Vol. 21(4): 3166-3174. Chen, W., Yan, L. and Zhao, H. (2015). Seasonal Variations of Atmospheric Pollution and Air Quality in Beijing. Atmosphere, 6: 1753-1770. David, J. B., Collins, S., Elliott, P., Fischer, P., Kingham, S., Lebret, E., Pryl, K., Van Reeuwijk, H., Smallbone, K. and Andre, V. (1997). Mapping urban air pollution using GIS: a regression-based approach. 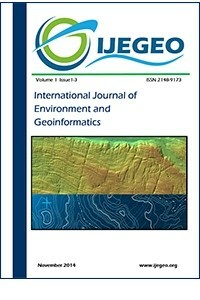 International Journal of Geographical Information Science, 11: 699-718. Demir, K.A. (2018). Assessment of Exhaust Emissions from the Local Marine Survey of the Bosphorus, IU, Institute of Marine Sciences and Management Msc. Thesis. Deniz, C. and Durmuşoğlu, Y. (2008). Estimating shipping emissions in the region of the Sea of Marmara, Turkey. Science of the Total Environment, 390: 255–261. Elbir, T. (2004). A GIS based decision support system for estimation, visualization and analysis of air pollution for large Turkish cities. Atmospheric Environment, 38, 4509-4517. Fedra, K. and Haur:e, A. (1999). A decision support system for air quality management combining GIS and optimization techniques. International Journal of Environment Pollution, 12: 125-146. Fortin, M. J. and Dale, M. (2005). Spatial analysis: a guide for ecologists. Cambridge: Cambridge University Press. Fotheringham, A., Charlton, M. E. and Brundson, C. (1998). Geographically weighted regression: a natural evolution of the expansion method for spatial data analysis. Environment and Planning A, 30(11): 1905–1927. Getis, A. and Aldstadt, J. (2004). Constructing the spatial weights matrix using a local statistic. Geographical Analysis, 40: 297–309. Guerrero, P. J., Jorba, O., Baldasano, J. M. and Gasso, S. (2008). The use of a modeling system as a tool for air quality management: annual high-resolution simulations and evaluation. Science of the Total Environment, 390: 323-340. Gümrükçüoğlu, M. and Soylu, S. (2011). Adapazarı’nda Isınma Kaynaklı Hava Kirliliğinin İncelenmesi. TMMOB Coğrafi Bilgi Sistemleri Kongresi, 31 October – 04 November, 2011, Antalya, Turkey (in Turkish). Güven, KC., Sur, Hİ., Okuş, E., Yüksek, A., Uysal, A., Balkıs, N., Kıratlı, N., Ünlü,SV., Altıok, H., Taş, S., Aslan, A., Yılmaz, İN., Müftüoğlu, AE., Gazioğlu, C. and Cebeci, M. (2000). Oceanography of the Izmit Bay Following 1999 Earthquake, Turkish Ministry of Environment Report. Hee-Jae, K. and Myung-Jin, J. (2014). Analysis on Relationship Between Urban Development Characteristics and Air Pollution Level – A Case of Seoul Metropolitan Region. Korea Planners’ Association, 49(7): 151-167. Jacob, D. J. and Winner, D. A. (2009). Effect of climate change on air quality. Atmospheric Environment, 43: 51-63. Jenkin, M. E. and Clemitshaw, K. C. (2000). Ozone and other secondary photochemical pollutants: chemical processes governing their formation in the planetary boundary layer. Atmospheric Environment, 34: 2499-2527. Jensen, S. S., Berkowicz, R., Hansen, H. S. and Hertel, O. (2001). A Danish decision-support GIS tool for management of urban air quality and human exposures. Transportation Research Part: D- Transport and Environment, 6: 229-241. Karaca, F. (2012a). İstanbul’un Tarihi Yarımadası’nda BTEK Yüzey Yayılım Profilinin Araştırılması. Hava Kirliliği Araştırmaları Dergisi, 12(1): 53-65. Karaca, F. (2012b). Determination of air quality zones in Turkey. Journal of the Air & Waste Management Association, 62(4): 408-419. Kinney, P. L. (2008). Climate change, air quality, and human health. American Journal of Preventive Medicine, 35: 459-467. Kural, G., Çağlar Balkıs, N. and Aksu, A. (2018). Source identification of Polycyclic Aromatic Hydrocarbons (PAHs) in the urban environment of İstanbul, International Journal of Environment and Geoinformatics (IJEGEO), Vol.5(1):1-16. Lee, J., Son, J. and Cho, Y. (2007). The adverse effects of fine particle air pollution on respiratory function in the elderly. Science Total Environment, 385: 28-36. Lepeule, J., Laden, F., Dockery, D. and Schwartz, J. (2012). Chronic exposure to fine particles and mortality: an extended follow-up of the Harvard six cities study from 1974 to 2009. Environmental Health Perspectives, 120(7): 965-970. Lichstein, J. W., Simons, T. R., Shriner, S. A. and Franzreb, K. E. (2002). Spatial autocorrelation and autoregressive models in ecology. Ecological Monographs, 72(3): 445-463. Lim, L. L., Hughes, S. J. and Hellawell, E. E. (2005). Integrated decision support system for urban air quality assessment. Environmental Modelling & Software, 20: 947-954. Lin, M. D. and Lin, Y. C. (2002). The application of GIS to air quality analysis in Taichung city, Taiwan, ROC. Environmental Modelling & Software, 17: 11-19. Matejicek, L. (2005). Spatial Modeling of Air Pollution in Urban Areas with GIS: A Case Study on Integrated Database Development. Advances in Geosciences, 4: 63-68. Pekey, B. and Özaslan, Ü. (2012). Spatial Distribution of SO2, NO2, and O3 Concentrations in an Industrial City of Turkey Using a Passive Sampling Method. Clean – Soil Air Water, 41(5): 423-428. Puliafito, E., Guevara, M. and Puliafito, C. (2003). Characterization of urban air quality using GIS as a management system. Environmental Pollution, 122: 105-117. Rohde, R. A. and Muller, R. A. (2015). Air Pollution in China: Mapping of Concentrations and Sources. PLOS ONE, 10(8). Salam, A., Bauer, H., Kassin, K., Ullah, S. M. and Puxbaum, H. (2003). Aerosol Chemical Characteristics of a Mega-City in southeast Asia (Dhaka, Bangladesh). Atmospheric Environment, 37(18): 2517-2528. Schmidt, M. and Schafer, R. P. (1998). An integrated simulation system for traffic induced air pollution. Environmental Modelling & Software, 13: 295-303. Song, S. J. (2008). A GIS Based Approach to Spatio-Temporal Analysis of Urban Air Quality in Chengdu Plain. The International Achieves of the Photogrammetry, Remote Sensing and Spatial Information Sciences, 37(B7), Beijing. Tayanç, M. (2000). An assessment of spatial and temporal variation of sulfur dioxide levels over Istanbul, Turkey. Environmental Pollution, 107(1): 61-69. Tayanç, M. and Berçin, A. (2007). SO2 modeling in İzmit Gulf, Turkey during winter of 1997: 3 cases. Environmental Modelling & Assessment, 12(2): 119-129. Tognelli, M. F. and Kelt, D. A. (2004). Analysis of determinants of mammalian species richness in South America using spatial autoregressive models. Ecography, 27(4): 427-436. Vautard, R. and Hauglustaine, D. (2007). Impact of global climate change on regional air quality: introduction to the thematic issue. Comptes Rendus Geoscience, 339: 703-708. Xiao, F., Qi, L., Yajie, Z., Jingje, W., Heming, L. and Ruofeng, X. (2014). Formation and Dominant Factors of Haze Pollution Over Beijing and Its Peripheral Areas in Winter. Atmospheric Pollution Research, 5(3): 528-538. Yerramilli, A., Dodla, V. B. R. and Yerramilli, S. (2011). Air Pollution, Modelling and GIS based Decision Support Systems for Air Quality Risk Assessment. In: Nejadkoorki F (Eds), Advanced Air Pollution, InTech Press, Rijeka, 295-324.